Most visitors to our region recognize its natural beauty – and its relation to the Atlantic Ocean and the St. Johns River. Ours is a distinctly out-door place where recreation comes easily. Fishing, beachcombing, surfing, hiking, biking, boating and golfing are the activities that first come to mind. But, our opportunities and choices for recreation and entertainment are world-class. Coupled with our wonderful-winter-weather and comfortable fall and spring days – the months from November through May afford uniquely memorable, motoring events. In close proximity and easily accessed, you can satisfy your diverse interests every weekend. Start with a visit to the Turkey Rod Run, at least once – even if you aren’t shopping for a weekend special. This show and sale is the premier east coast car event and swap meet, staged throughout the 4 day Thanksgiving weekend inside the Daytona International Speedway. Thousands of cars are displayed for both competition and sale and virtually every part you need for restoration and customizing is available. This is the place for you to buy that car of your youth or dreams. 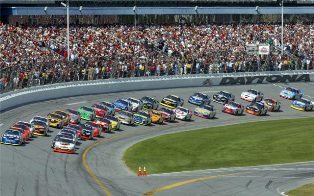 In early February, the NASCAR season kicks off with the internationally-famous Daytona 500 – one of the world’s largest spectator events – and the perfect place for you to work on your crowd-adaptabilities. For most motor-enthusiasts, this is the race on their Bucket List. With the proper ear protection – the Gator Nationals in Gainesville is a one-of-a-kind spectacle of automotive brute force and technological wizardry where you can get up-close-and-personal with vehicles that can break the 300 mile-per-hour barrier, running a quarter mile course. Outside of the drag-race circuit in California, there is nothing like it on the planet. As you grow your appreciation for “motoring” you will want to attend the Amelia Island Concours d’ Elegance. In less than 15 years, the organizers and sponsors have gained world-wide fame and credibility – positioning the show as one of the top 3 in the nation – with antique, classic and exotic automobiles that come from around the world. 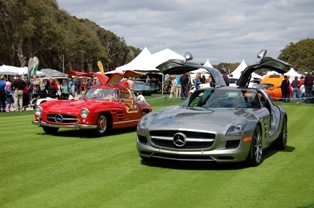 The highlight of the event is the Sunday Show with cars arrayed on the golf course grass at the Ritz-Carlton Hotel. Guests commonly dress for the occasion, making it the perfect car and people-watching venue. In a similar way, you can preview classic mahogany run-abouts and rare watercraft at the Mt. Dora Antique Boat Festival and Sunnyland Antique Boat Festival. Sellers come from across the country and the selection of boats is second to none. There is a Chris-Craft, flying the American flag, waiting for you to pilot it with love and affection. 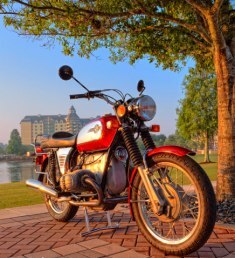 The largest and most diverse show of antique motorcycles in the country, Riding Into History, is featured each spring on the Walk of Champions at World Golf Village. This event showcases hundreds of motorcycle brands, from their early beginnings through their modern evolution. It even includes a selection of antique bicycles, demonstrating their progeny. And if you want a full-immersion experience – you can always take in some of the shows and festivities during the annual flock to Daytona’s Bike Week. 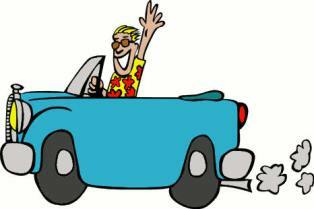 The City of New Smyrna Beach closes off their main street, Canal Street, every third Saturday to host a Classic-Car Cruise-In. This has become “the scene” for early muscle cars, Detroit iron and collectible classic-designs. The latest trends in American Pick-Up Truck restoration, customization and the resurrection of the “Rat-Rod” style are all on display during each Cruise-In. This is one cool event to parade with your sweetheart – then you can take in sunset at the beach. Our area is rich in motoring-sports. Our benign and balmy, sunny weather and our beautiful, naturally scenic back-roads compliment the trip to any one of these events – where you can truly enjoy your ride.